Over the past six years, Telluride Venture Accelerator(TVA) has pioneered the way for the conversation around building real companies in a mountain town. As the first accelerator of it's kind in the world, it has proven that real companies can build and thrive here. Since 2012, 29 startup companies have graduated the program and raised over $22 million dollars with the help of an incredible network of more than 100 mentors. Also, over 90 jobs have been created as a result of affiliated companies. Telluride is home to a network of angel investors and it also has a $3M fund for early stage startups called Telluride Venture Fund which has historically invested in ~50% of all TVA graduating companies. Moving into our 2018 program, we're excited to continue innovating and evolving the program to attract the highest quality and most diverse group of founders yet. In 1890, Telluride was the first town in the world to light it's streetlights with the first long distance application of Nichola Tesla's AC coil at Ames hydroelectric power plant nearby. TVA isn't your traditional investment driven accelerator. We have a larger mission to create a more diverse and sustainable economy. Tourism in our region is strong and growing, but we also know the vulnerabilities and challenges that are created by being so dependent on one industry. As with most other mountain towns, Telluride also has more tangible social challenges such as housing affordability and social mobility. We believe that entrepreneurship is the best tool to drive long-term social and economic change that can lead to more, high-paying jobs that are not dependent on mother nature, and ultimately a stronger local community. Given Telluride's long history of innovation, we hope to help define what the future of our community and economy looks like by helping increase metrics like primary home ownership, average median income, and even help retain some of the youth that grow up in Telluride and typically leave to pursue opportunities elsewhere. Our thesis is to help create five $10M companies in Telluride in the next ten years. The average $10M startup employs around 30 people at an average salary of $70k. If we can help support and attract companies to call the Telluride region home, we know we can have a substantial impact on our small part of SW Colorado. 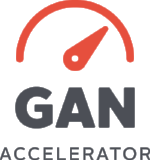 TVA is proud to be a member of GAN - a highly curated community of accelerators, partners, and investors. We help startups around the world access the human and financial capital they need to build powerful businesses and create meaningful impact, wherever they call home.